Properties in Black Canyon Lake average 4.8 out of 5 stars. Property 16: Cozy Bear Cabin in Bison Ranch. Near Mongollon Rim. With a relaxing hot tub. Property 17: THE ORIGINAL PERFECT FAMILY CABIN - SPRING SALE - LOW RATES! 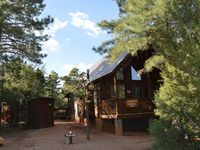 Property 23: Cozy Cabin in the White Mountains of Arizona sits on one acre of land! 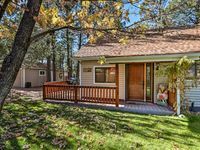 Property 43: Beautiful getaway retreat in the pines! Property 45: Perfect Family Cabin in the Pines - 2 Acre Yard! Property 48: Heber-Overgaard Cabin w/ Deck in National Forest!